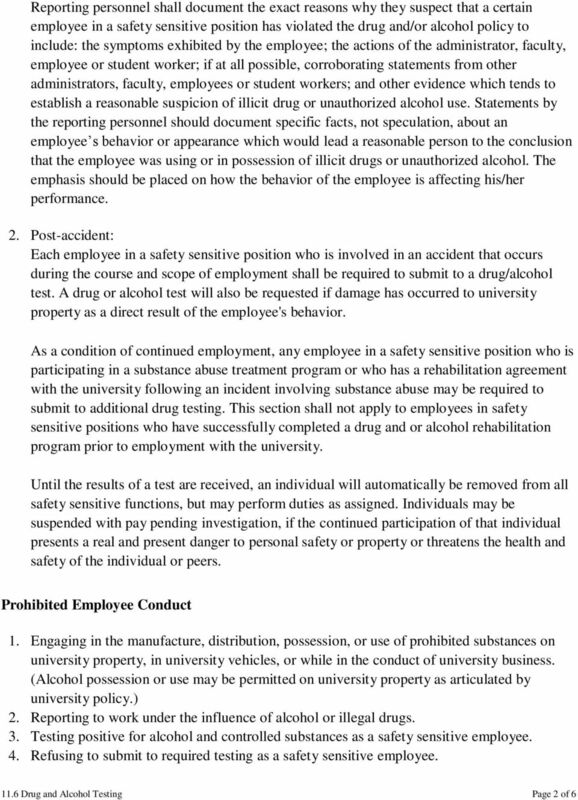 Download "Drug and Alcohol Testing"
SOUTH CAROLINA DEPARTMENT OF ADMINISTRATION DRUG AND ALCOHOL TESTING POLICY AND PROCEDURE THE LANGUAGE USED IN THIS DOCUMENT DOES NOT CREATE AN EMPLOYMENT CONTRACT BETWEEN THE EMPLOYEE AND THE AGENCY. Drug Free Workplace Policy 7307. PURPOSE The purpose of this policy is to set forth guidelines to ensure a drug free workplace at UCLA Medical Center. 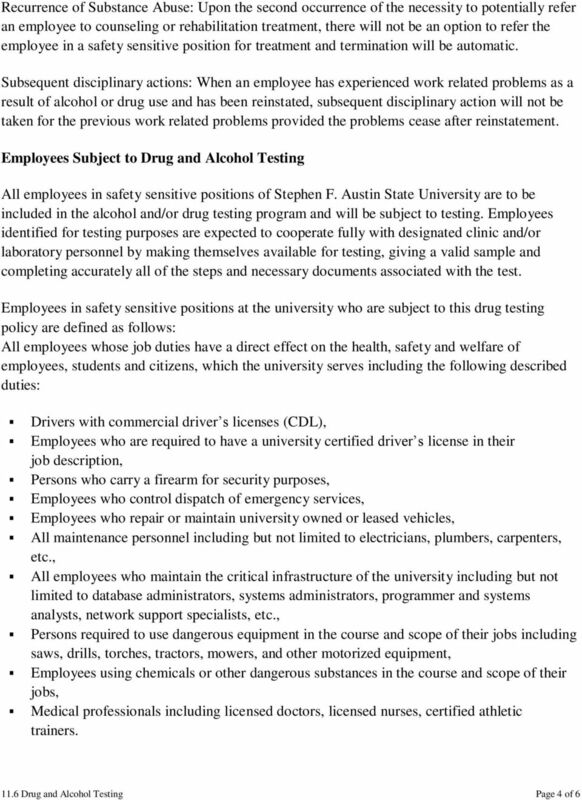 F 416 Willmar Public Schools ISD 347 ATTACHMENTS TO DRUG AND ALCOHOL TESTING POLICY Attachments A through C are to be used in conjunction with the drug and alcohol testing of bus drivers and driver applicants. Rexnord Industries, Inc. (herein referred to as the Company ) has a strong commitment to its employees to provide a safe work environment and to promote high standards of employee health and performance. Drugs - shall be defined as those outlined in the Controlled Substance, Drug, Devise and Cosmetic Act. FEDERAL HEIGHTS POLICE DEPARTMENT Effective Date: May 1999 Directive: 171.5 Approved By: Chief Acker (City of Federal Heights Personnel Code) Employee Drug or Alcohol Abuse Section XII. - Drugs and Alcohol. 3.1. 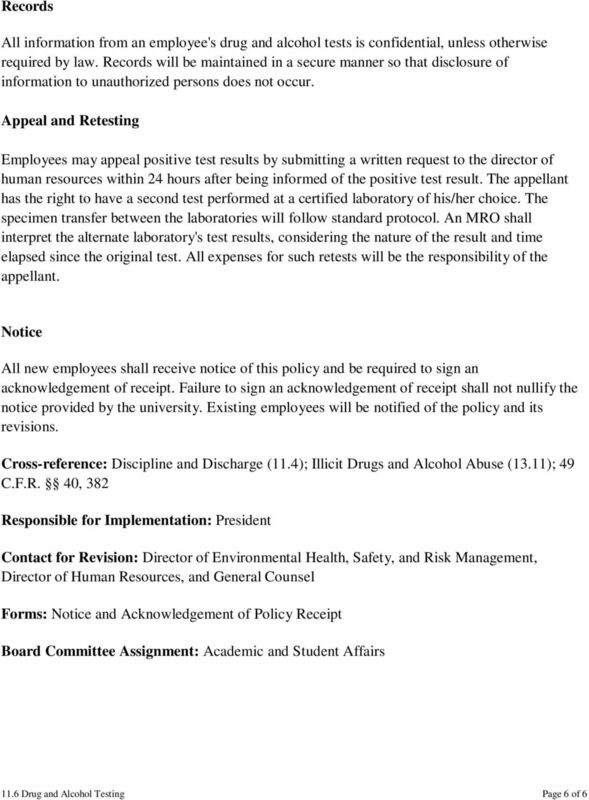 The procedure shall be applicable to all University employees. 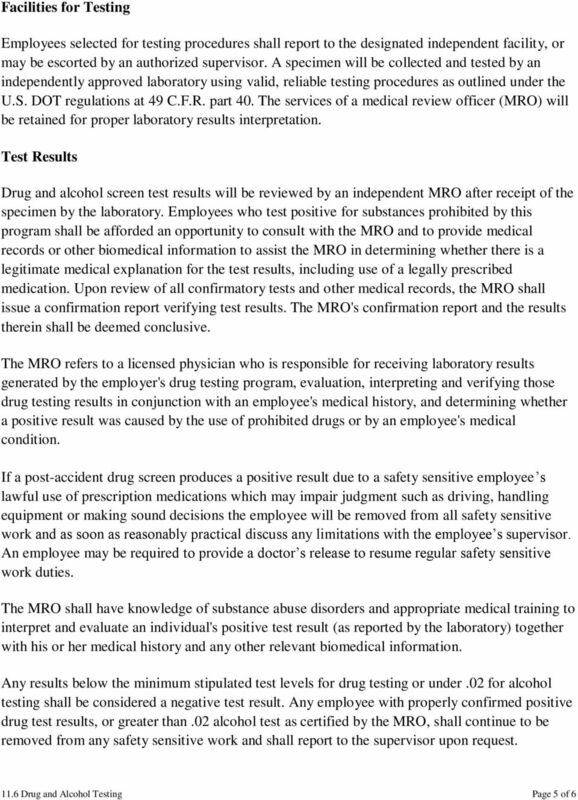 ALCOHOL AND CONTROLLED SUBSTANCE TESTING Section 1.0 Introduction The Mercer County Board of Education has a vital interest in maintaining a safe, healthy, and efficient work environment for its employees. DOUGLAS COUNTY GOVERNMENT POLICY FORM. To ensure a drug-free work environment within Douglas County Government. CITY OF WICHITA SUBSTANCE ABUSE POLICY PURPOSE The City of Wichita has a public trust to provide a variety of services to the community. An efficient and productive workforce is vital to fulfill that responsibility. This policy is adopted in accordance with the Drug-Free Workplace Act and the Drug-Free Schools and Communities Act. Washington University is committed to maintaining a safe and healthful environment for members of the University community by promoting a drug-free environment as well as one free of the abuse of alcohol. Carmel USD I BP 4112.42 Personnel Drug And Alcohol Testing For School Bus Drivers The Board of Education desires to take all possible steps to ensure transportation safety for district students and staff. 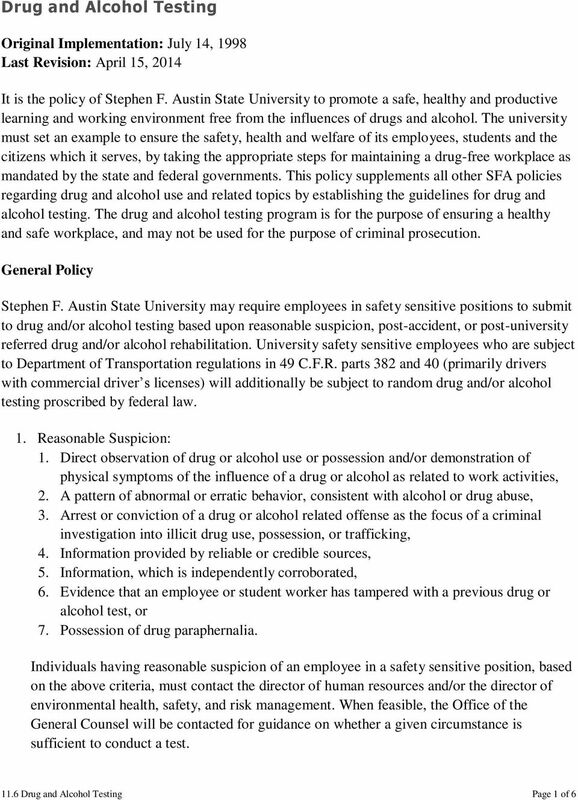 Additionally, this policy shall include drug testing for reasonable suspicion/cause of drug use by any athlete.